After yesterday’s post about searching for a new nail color, I hit Bergdorf Goodman’s beauty floor — one of my least favorite activities. Since I wear no makeup, the reps always seem to think they’ve got a live one and follow me down the aisles. However, it’s best to test drive a lot of options in the wild, not online. 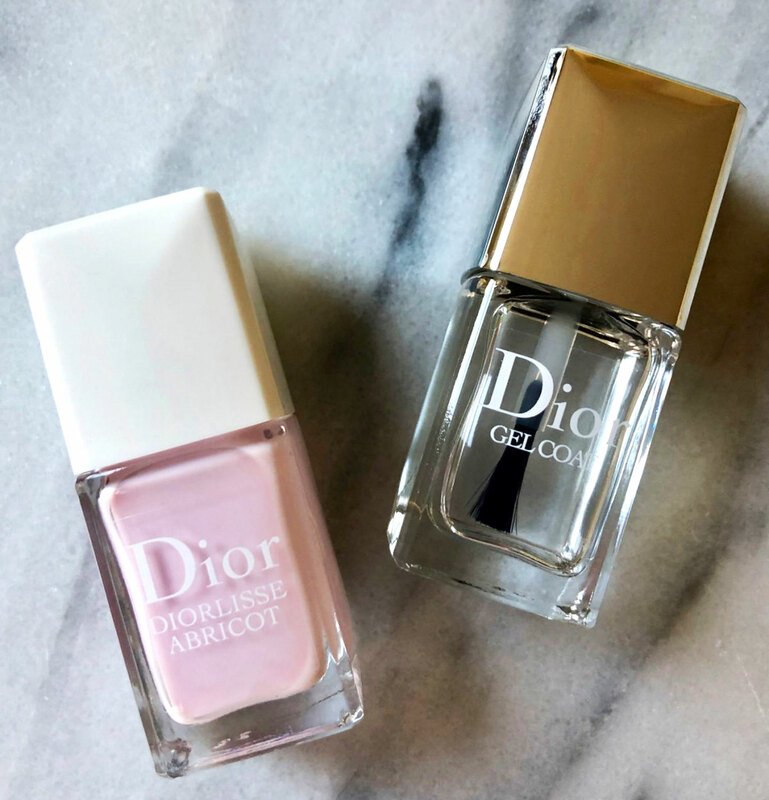 I tried a number of polishes and fell in love with the Diorlisse Abricot, which is actually a base coat that can be worn on its own. One coat does the job. They claim this product “nourishes, whitens and strengthens nails.” Discoloration is something I fret about and the reason I rarely wear polish in the first place. Ages ago I went for a manicure with a fellow Vogue editor. I envied her perfect red nails until I saw them sans polish. When bare they were dark yellow — it was a cautionary tale. So, here’s to hoping Dior’s claims are true. Which shade did you get, Preston – 500 Pink Petal or 800 Snow Pink? Snow pink — it’s lovely and the gel coat seems good, too. I’m quite particular about the right shade of barely, pink polish. Discovered the Dior and love it! I just ordered it, thanks for the legwork! I’ve been using Dior’s Pink Petal (as both base coat and color) for the past couple of years and love it. It’s a winner both for long and short nails, you can change the look by doing either one or two coats, it dries quickly, and stays on. Good product and, unlike many popular brands, comes with a good brush which gets high ratings from my manicurist. Truly I laughed out when reading that you don’t wear makeup and that you’re followed down the aisles! Same and same! Hate hate hate going through the cosmetics departments. And I wear makeup. The people working there are like vultures. Even when you tell them you are just looking they won’t stop pestering me. How about an article addressing this?? They drive me away. They are so annoying, I leave. Just bought it…I’m a convert. Love the look. Thanks Preston. I knew when I saw your nail inspo pic that I would love whatever you loved so I ordered and it’s great! I’m not a mani pedi girl but I can do this myself, thanks! I love Priti NYC Pearl Drift, a beautiful color and 10-free (doesn’t contain 10 toxic chemicals commonly found in nail polish).